Allergy Doctor of King of Prussia – Allergy & Asthma Specialists How Does Immunotherapy Work? If you suffer from allergies, immunotherapy is one treatment your allergy doctor may recommend. Immunotherapy isn’t a cure for allergies, but it does help increase your tolerance to triggers so that you may experience symptoms less often. There are three types of immunotherapy (IT). Subcutaneous IT, or allergy injections, sublingual IT, allergy drops under your tongue, and sublingual tablets. 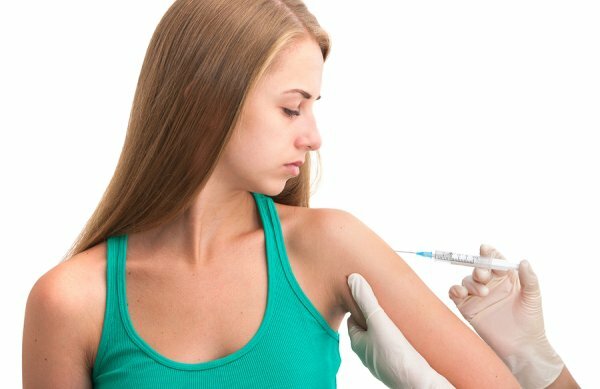 Is subcutaneous immunotherapy right for you, and what should you expect from this allergy treatment? Here is what you need to know. The first step in getting this allergy treatment is finding out if you’re a good candidate. Subcutaneous immunotherapy—or allergy injections, as the treatment is sometimes called—tends to work well for allergies to pet dander, dust mites, mold, pollen, and bee stings. Typically, those with food allergies or drug allergies aren’t treated using subcutaneous immunotherapy. However, your allergy doctor will work with you to consider your symptoms and decide if you should try this treatment. For the first few months of subcutaneous immunotherapy, you will see your allergy doctor one to two times per week to receive an injection. Each injection contains a small amount of an allergen, and the dose gradually increases. After the initial round of treatment, you will receive maintenance doses every two to four weeks for up to five months and then once monthly for three to five years. Over the course of treatment, your allergy symptoms should improve. If you don’t have any improvement in the first year, your allergy doctor may suggest different treatments. Your allergist will observe you for about 30 minutes after each immunotherapy injection to make sure you don’t have an allergic reaction. Aside from a potential allergic reaction, the only side effects patients might experience are minor redness, pain, and swelling at the injection site.